Health Tips From The Professor Should I Get A Flu Shot? 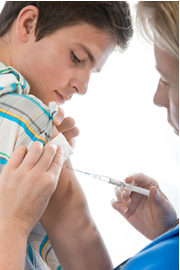 Homecurrent health articlesShould I Get a Flu Shot? Should I Get a Flu Shot? It is flu season again, and the annual debate about whether everyone should get a flu shot is heating up. On the one hand we are told that the flu shot saves thousands of lives and everyone should be vaccinated. On the other hand we are being told that the flu shot is deadly and we should avoid it. As usual, the truth is somewhere in between. The risks of the flu shot have been greatly exaggerated. The benefits of the flu shot have been greatly exaggerated. The medical profession has not leveled with us about the real reason they recommend that everyone get a flu shot. The greatest fear of vaccination and therefor flu shot side effects for children has been the claim that the flu vaccine causes autism. It is easy to understand how the hypothesis arose that vaccinations and autism might be linked, because the first symptoms of autism usually appear around the time that children are completing their initial series of vaccinations. However, clinical research has not substantiated that any causal relationship between vaccinations and autism. It isn’t that scientist haven’t looked. A number of clinical studies have looked for a link between vaccinations and autism and have failed to find any. The age of onset and prevalence of autism are virtually identical in vaccinated and unvaccinated children. However, most vaccines still contain mercury, and mercury is a neurotoxin. So if you are getting your child vaccinated, I recommend that you insist on getting a mercury free vaccine. You may want to inquire about the preservatives and additives in the flu vaccine as well, because some of them are also toxic. Beyond that the biggest concerns are severe allergic reactions and an autoimmune response called Guillian-Barré syndrome which causes symptoms ranging from muscle weakness and fatigue to partial paralysis. These side effects are real and they are serious, but they are also quite rare. They affect somewhere between 1 in a million to 1 in 100,000 children, depending on the vaccine. In short, flu shot side effects risks are real, but they have been greatly exaggerated by some in the media. It turns out that the benefits of the flu shot have been greatly exaggerated by health professionals and the media as well. However, to properly understand why the messages you hear are a bit misleading you need to understand some scientific jargon, namely the difference between relative risk and absolute risk. Relative risk describes the effect of an intervention for people with a certain condition. In this case, relative risk would be the effect of the flu shot (intervention) for people who have been infected with the flu virus (condition). Relative risk is often used in media reports because it magnifies the effect of the intervention. In short, it makes the intervention look really good. Absolute risk describes the effect of an intervention on the probability that you will develop a certain condition. In this case absolute risk would be the effect of the flu shot on you actually getting the flu. Since this takes into account your probability of being infected by the flu virus as well as the relative risk reduction once you have become infected, it is a much smaller number. Absolute risk is a much better measure of the actual benefit you can expect to receive. Is The Flu Shot Effective? There is always year to year variation in the severity of the flu and the effectiveness of flu vaccines. In addition, many other viruses that cause flu-like symptoms and are completely unaffected by the flu vaccine. For example, both enterovirus D68 and the Ebola virus are in the headlines – enterovirus D68 because it has hospitalized so many kids this fall and Ebola virus because it is so deadly. Unfortunately, the flu vaccine has no efficacy against either of those viruses. In addition, there is also significant variation in both the efficacy and evidence for efficacy in different population groups that is generally not acknowledged during the annual campaigns recommending that everyone should get a flu shot. To better understand that we need to look at the efficacy of the flu shot in each population group individually. Is The Flu Shot Effective in Children Age 6 Months To 2 Years? Summary: This is one of the groups at greatest risk for developing severe complications to the flu, so it is disappointing that the flu vaccine is not more effective for this group. I will talk about the best way to protect this group below. Is The Flu Shot Safe & Effective in Healthy Children Age 2 To 7 Years? This is the age group for which immunization makes the greatest sense, and the nasal spray gives the best results for this group. According to the 2012 Cochrane Collaboration review the flu shot reduces the relative risk of the flu by 48% and the nasal spray with attenuated live virus reduces the relative risk by 83%. Since around 16% of unvaccinated children catch the flu in an average year this translates to an absolute risk reduction of 3.6% for the flu shot and 17% for the nasal spray. That is a smaller number, but still significant. This, of course, varies from year to year dependent on how well the vaccine matches the strains of virus that are actually circulating through the population. Summary: The science behind vaccination for this group has shifted significantly in the past few years. The evidence for the efficacy of the flu shot in this age group has increased while the evidence for harm has deceased. The fear of the flu shot causing autism has been largely disproven by recent clinical studies. That leaves severe allergic reactions and the Guillian-Barré syndrome as the major complications of the flu vaccination. Proponents of the flu vaccinations have estimated that if all children in this age range were vaccinated, around 200 would develop severe complications to the flu shot, and if all children in this age range were unvaccinated 20,000 would develop severe complications from the flu. I have not been able to independently substantiate those statistics. We also need to keep in mind that in those rare years, such as during the 1976 swine flu epidemic, when approximately 1 in 100,000 vaccinated children developed Guillian-Barré syndrome the incidence of severe complications to the flu shot could have reached the 2-3,000 range if the vaccination program had not been terminated early. I realize that this is an emotional issue for parents, and there is no perfect answer. However, at present the weight of evidence is slightly in favor of vaccination for this age group. Is The Flu Shot Effective in Healthy Children Age 8 To 18 Years? According to a recent meta-analysis of all available clinical studies (Oosterholm et al, The Lancet Infectious Diseases, 12: 36-44, 2012), we simply don’t know whether the flu vaccine will be effective in this age group because no reliable studies have been conducted. Even worse than that, we may never know whether the flu shot offers any protection for this age group because of a Catch 22 situation in modern clinical research. Once a particular treatment becomes “the standard of care” it is considered unethical to withhold that treatment in a clinical trial. Since the CDC is now recommending the flu shot for everyone over age 2, it would be considered unethical to conduct a clinical trial in which half the population received flu shots and half did not. Summary: I suspect that the flu shot may offer some protection in this age group, but there is no convincing clinical evidence to support that belief at present and for the foreseeable future. Is The Flu Shot Effective in Healthy Adults Age 18 To 65 Years? Here the answer is yes. According to a 2012 meta-analysis of 31 published clinical studies (Oosterholm et al, The Lancet Infectious Diseases) the flu shot gives an impressive 75% reduction in the relative risk of catching the flu. However, in an average year only 4% of this population will catch the flu if unvaccinated, so the absolute risk reduction is a modest 3%. This is also the group that has the least to fear from the flu. Only about 1 in 100 people in this age range develop severe complications as a result of getting the flu, and these are usually the people with severe diseases and/or compromised immune systems. For most healthy adults in this age range, the flu is merely a one or two day inconvenience. Summary: For healthy adults in this age range the flu vaccine offers only a modest decrease in the absolute risk of catching the flu, and this group has a relatively low risk of developing severe complications from the flu. If the self interest of this group were the only consideration, it is hard to understand the insistence of the medical community that everyone in this age range get a flu shot. It would appear to be a matter of personal choice. 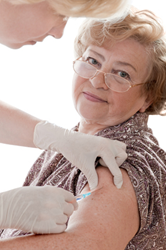 Is The Flu Shot Effective in Seniors Age 65 And Older? Flu shot proponents will tell you that flu shots cut the risk of death in this group by 50% based on a meta-analysis published in 2002 (Vu et al, Vaccine, 20: 1831-1836, 2002). The lack of protection of the flu virus in seniors is most likely due to the fact that, in many cases, their immune systems have weakened with age. Summary: This is another group where you would most like to see protection by the flu shot, because this group is likely to suffer severe complications and death from the flu, so it is disappointing that the flu vaccine is not more effective for this group. Who Has Most To Fear From The Flu? When you hear that the flu shot significantly reduces the risk of severe complications and death from the flu, you should know that the risks are not spread evenly over the population. The very young are at risk because their immune systems haven’t fully developed. The very old are at risk because their immune systems have weakened with age and they may already be in precarious health because of other diseases. And, of course, anyone at any age who is in precarious health because of disease or who has a compromised immune system is at risk as well. Why Do Health Professionals Recommend That Everyone Get A Flu Shot? If you are a healthy adult in the 18-65 age range, your risk of severe complications and death is from the flu is very low. It is not zero, but it is low. So why are health professionals so insistent that you need to get a flu shot? The reason is straight forward, but it is not the reason that they are giving you. It is a public health measure, pure and simple. The very young, the very old, the sick and the infirm are the ones most likely to develop severe complications and die from a flu infection. However, the flu shot doesn’t offer them much protection because their immune systems are often compromised. The best way to protect those groups is to immunize everyone else. If the flu virus can’t gain a foothold in the rest of the population, those at greatest risk will never be exposed to the flu. So the constant warnings that you need to get a flu shot is less about protecting you than it is about protecting those whom you might infect. Now you know the truth. If you decide to get a flu shot it will be for the right reason, not the reason you are being given by the medical profession. In a similar vein, many health departments are warning about hospitalizations and deaths from enterovirus D68 infections and urging people to get flu shots. They are not telling people that the flu shot has no efficacy against enterovirus D68. I understand the concept that the rare combination of the regular flu and enterovirus D68 infection in the same patient would be particularly deadly. But, I also believe in truth in advertising. The medical profession needs to level with people about why they are recommending flu shots, not use scare tactics that make promises the flu shot can’t deliver. As you can see, your decision about whether or not the flu shot is the right thing for you is not an easy one. Both the benefits and risks of the flu shot have been greatly exaggerated in the media. I have tried not to be an advocate either for or against flu vaccinations. I have evaluated the scientific literature and tried to give you the unvarnished truth. It is now up to you to make an educated decision – one that is right for you. My personal decision about the flu shot is influenced by my father’s example. He dutifully got his flu shot every year, and every year he came down with the flu shortly after getting the flu shot. I’ve seen the same phenomenon with several of my friends who work at area hospitals and are required to get an annual flu shot. I know that the experts claim you can’t get the flu from the flu shot. I don’t know about that. I only know what I have observed. In addition, I do not have young children or elderly parents at home who might be compromised if I were to develop even a mild case of the flu. So I chose to follow the kind of lifestyle that keeps my immune system strong rather than relying on a flu shot to protect me from the flu. That immune-healthy lifestyle, of course, will be a topic for a future “Health Tips From the Professor”. Both the effectiveness and risks of the flu shot have been greatly exaggerated. The flu shot has no proven effectiveness in children ages 6 months to 2 years, children aged 8-18 years and seniors 65 years and older. 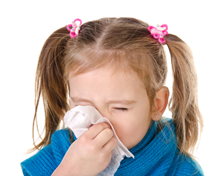 In children, aged 2 to 7, nasal sprays with partially inactive flu virus give a 17% decrease in absolute risk of catching the flu. Side effects of the flu vaccine in this population group are severe allergic reactions and an autoimmune response called Guillian-Barré syndrome. Both severe complications from the flu virus and side effects of the flu vaccine are very rare, but complications from the flu virus are several fold more common than side effects from the vaccine. Fears that the flu vaccine could trigger autism have not been validated by clinical studies. However, mercury is a neurotoxin so I recommend that you insist on mercury-free vaccines for your children. You may also wish to inquire about other preservatives and additives in the vaccine, because some of them are toxic. In healthy adults, aged 18 to 65, flu shots give a 3% decrease in absolute risk of catching the flu. This is also the population group with the lowest risk of severe complications from the flu. For most adults in this age group the flu is nothing more than a one or two day inconvenience. The groups most likely to develop severe complications and die from flu infections are the very young, the very old, and the sick. They are also the groups least likely to benefit from the flu shot because their immune systems are weak. If you are a healthy adult in the 18 to 65 age group, the constant warnings that you need to get a flu shot is less about protecting you than it is about protecting those whom you might infect if you catch the flu. It is a public health measure to protect the very young, the very old, and the sick. Now you know the truth. If you decide to get a flu shot it will be for the right reason, not the reason you have been given by the health profession. In addition, the flu shot has no efficacy against either enterovirus D68 or Ebola virus. Although both of these viruses are real concerns, neither is a justification for recommending that people get flu shots. As for me, I am influenced by the example of my father who got the flu from the flu shot every year. I chose to follow the kind of lifestyle that keeps my immune system strong rather than relying on a flu shot to protect me from the flu. That, of course, will be a topic for a future “Health Tips From the Professor”. These statements have not been evaluated by the Food and Drug Administration. This information is not intended to diagnose, treat, cure or prevent any disease. Exactly what I was looking for! The truth about the Flu shot from a reputable source! Now I feel like I can make my decision based on the facts, and not the hype from media. Thank you, Dr. Chaney! I am 63 years old, work full time in a school, and my 89 year old mother lives with my husband and me. Based on your excellent article, It sounds like it may be a good idea for my husband and me to continue getting flu shots for Mom’s protection rather than ours. Have I understood correctly? I understand your statements are not intended as medical advice. I don’t want to give medical advice, but if I had an 89 year old mother living with me and her health were fragile, I would strongly consider a flu shot. Very helpful information which I will share. Just the facts man! I love it! Thank you Dr. Chaney for giving us information based on facts. That make sense! Be careful! I got a flu shot October 14th, 2014. The pharmacist shot it into my bursa instead of my muscle. Make SURE they do not put it too high on your shoulder. I am still in pain a month later. I think the flu would be better. Thanks, you always tell it like it is! my husband, 85, and I, 76, haven’t had a flu shot in about 15 years, no flu, either. i strongly believe in doing everything I can to have a strong immune system. however, we do get the pneumonia shot, I have a history of pneumonia and thought it might be best. do you think it wise? I am a bit reluctant to weigh in on that question. We normally develop immunity to diseases that we have had recently. If you have had pneumonia recently, I’m not sure what the additional benefit of a pneumonia shot would be. I’ll have to research that question. Perhaps it could be a topic for a future “Health Tips From the Professor”. Dr. Chaney with all the issues with ongoing vaccines the ingredients alone in these vaccines are very toxic, why would anyone take them at all? What Is The Pectineus Muscle And Why Is It Important? Of course, here in Florida we are blessed with flowers all year, but there’s still a lovely feeling that happens in Spring. It’s still cool enough most days to go out running, and the humidity is still low. Traffic will soon be easing up as our friends from the north start their trek back home, and daylight savings time is giving us more time to get to the beach for sunset. Lovely! Spring fever isn’t just a saying. Experts say the body changes due to the temperature and can cause an upset in your health. The actual start of spring varies from March 19th to the 21st, but it is commonly celebrated on the 21st. Do you like to garden? Now is the perfect time to get your gardens planted so you’ll have home grown veggies for the entire summer. For me, it’s also a great time to do some spring cleaning and get the house in order before the summer closes all the windows and the air conditioning becomes our indoor relief. But these activities can also cause a strain on muscles, so don’t forget to take care of yourself. If you put too much strain on muscles you haven’t used all winter, you can develop problems and need groin pain relief. Lately I’ve had several clients come in because of groin pain that has their medical practitioners stumped. Their symptoms are varied, but most complain that it feels like they hit their pubic bone with a rubber mallet. Ouch! One client loves to ride her horse, but the pain had prevented that for several weeks. Another was considering selling the motorcycle that she and her husband love because she just can’t sit on it anymore. Several years ago, I had a male client tell me that he had this same pain and he was told it could be his prostrate causing the issue. Fortunately, that wasn’t he problem at all. The muscle that caused all these problems, and a lot more, is the Pectineus. The Pectineus muscle originates on your pubic bone and inserts into the very top of your inner thigh bone (femur). Most muscles have more than one function, and this is true for the Pectineus. The function we’ll look at today is called adduction. It brings your leg in toward midline. If you think of a soccer player kicking the ball with the inside of his ankle, it was the Pectineus that helped draw his leg in so he could do the shot. Each of my clients had pain while trying to bring their leg out so they could sit on their horse, or on their motorcycle. The tight muscle was pulling on their pubic bone and causing a severe strain. This muscle is easier to have someone else treat it for you because of its location but give it a try and see if you can locate & treat it yourself. The picture to the left is showing an athlete self-treating her adductors. These muscles, and the Pectineus muscle, all originate at the same point on the pubic bone. The picture is showing her massaging the middle of the adductors. To reach the Pectineus, move the ball all the way up to the crease in your leg. You can do the treatment with a ball, but because of the size of the muscle and its location, it’s easier to do it with your fingertips. Sit as this athlete is sitting, and even bring your opposite leg up so your foot is flat on the floor. For example, in this picture, the athlete would bring her right leg up so her right foot is on the floor, and then lean a bit further onto her left hip. That opens up the area so she can reach a bit easier into the muscle while using her fingertips. Press into the muscle, being careful to feel for a pulse, and moving if you feel one. If the Pectineus is in spasm, you’ll know it immediately when you press on it. If it’s not in spasm, you won’t be able to find it at all. Remember to stay within your pain tolerance level, this isn’t a “no pain, no gain” situation. Never go deeper than what feels tender, but not so much that you want to faint. Hold the pressure for 15 seconds. Then let up on the pressure, but keep your fingers in the same place. Repeat this movement several times. Each time it will hurt less, and eventually it won’t hurt at all. That’s when the muscle has completely released, and you will have relief from the pain. Why stay in pain when it’s so easy to find the muscular source of the problem and eliminate it? Treat Yourself to Pain-Free Living (https://julstromethod.com/product/treat-yourself-to-pain-free-living-hardcopy/). It is filled with over 100 pictures and descriptions proven to show you how to find and self-treat muscle spasms from head to foot! Join the 1000’s of people worldwide who have discovered that tight muscles were the true source of pains they thought were from arthritis, fibromyalgia, and other serious conditions. You have nothing to lose, and everything to gain by releasing tight muscles. Treat Yourself to Pain-Free Living is your step-by-step guide to pain relief! Julie Donnelly is a Deep Muscle Massage Therapist with 20 years of experience specializing in the treatment of chronic joint pain and sports injuries. She has worked extensively with elite athletes and patients who have been unsuccessful at finding relief through the more conventional therapies. She has been widely published, both on – and off – line, in magazines, newsletters, and newspapers around the country. She is also often chosen to speak at national conventions, medical schools, and health facilities nationwide. Are You Confused By Conflicting Nutrition Information? Are Heart Attacks Increasing in Young Women? What is the Flexitarian Diet? The statements in these articles have not been evaluated by the Food and Drug Administration. This information is not intended to diagnose, treat, cure or prevent any disease. Any Health Care changes should be made only after consulting with your Doctor and licensed Health Care Advisor. Disclaimer: At Health Tips from the Professor, we only recommend products that we’ve either personally checked out ourselves, or that come from people we know and trust. For doing so, we may receive a commission. NOTE: If URLs do not appear as live links in your e-mail program, please cut and paste the full URL into the location or address field of your browser.